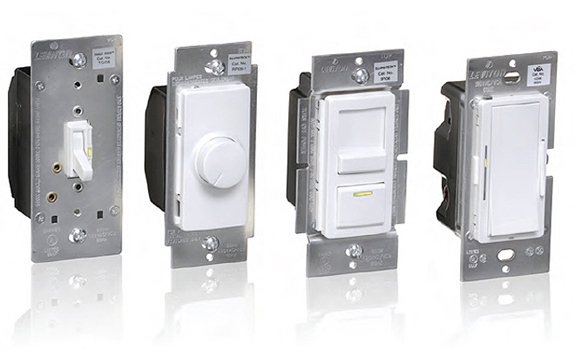 Leviton Dimmers and Fan Speed Controls are expertly crafted, dependable and easy to install and operate. 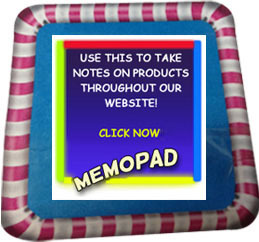 They are a welcome addition to today’s energy-conscious homes. 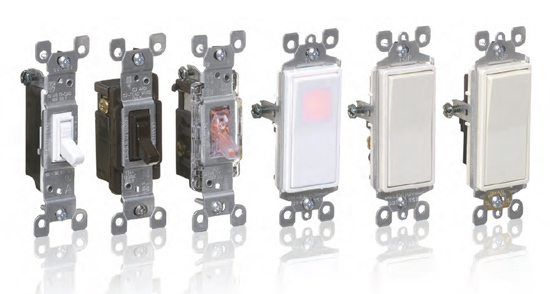 Choose from a wide array of dimmers – digital, preset, slide, rotary, toggle and touch. All offer good looks with great valueadded features. For example, dimming the lights effectively allows homeowners to be more cost and energy efficient. Fan speed controls come in a variety of styles and choices to fit almost every functional requirement. Advanced technology ensures precise, quiet operation while a sleek, sophisticated design makes them the ideal match to Leviton’s full complement of dimmers and switches.